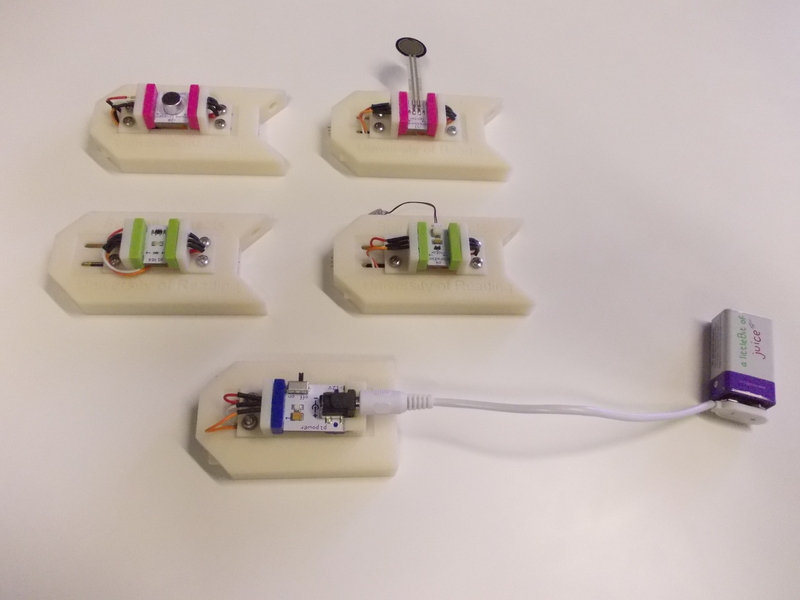 Each of the littleBits components has a pair of magnets on each face to hold the bits together when assembling circuits. Most of the bits have two faces, but it is difficult to tell which is for input and which is for output. If it is the wrong way round, then the objects will not snap together. It can be difficult to tell whether the component is the right way up, as the top and bottom are similar in appearance. If they are the wrong way up, then you cannot connect the bits together. The affordances of the bits are often unclear, so it is not always obvious what to do with them. 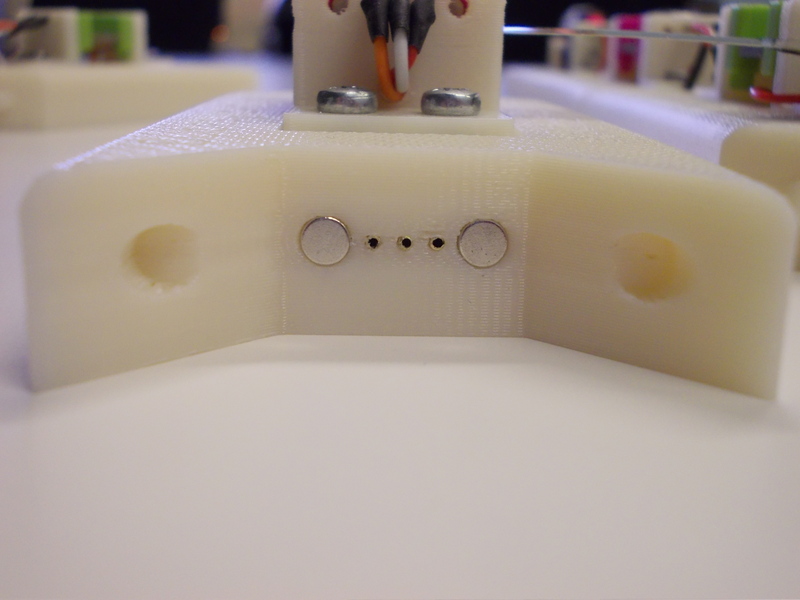 For example, the microswitch has a small roller attached to a metal arm, and which should be pushed inwards (i.e. towards the body of the bit) to operate. But this was often pulled outwards instead. The microphone trigger also caused some confusion until it was demonstrated. As it looks like a button, it was pressed rather than talking or clapping close to it. Some additional cues would help people to understand whether the bits were connected correctly. 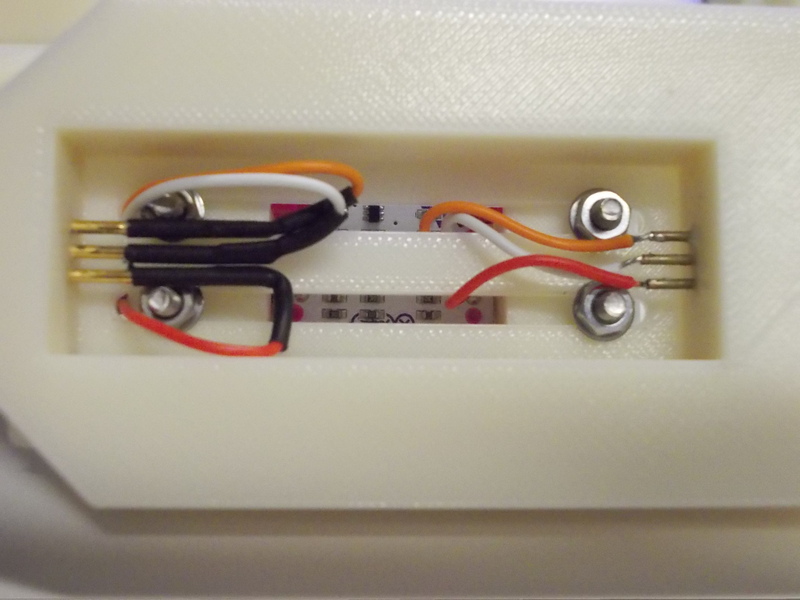 For instance, the inclusion of a small indicator LED on the edge of each bit that illuminates when the two bits are properly connected might be helpful. 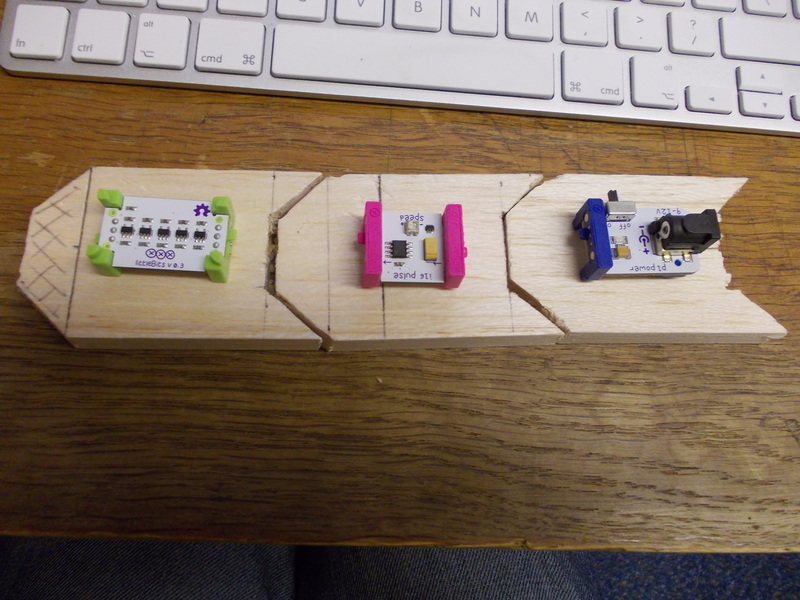 Controls on the littleBits objects are very small and difficult to operate if you have limited manual dexterity. Although the two group members in the images above (See Figure 2) managed to work the controls (including using the tiny screwdriver provided to adjust the sensitivity of one of the sensors), it is clear that they would benefit greatly from larger, more robust, controls. 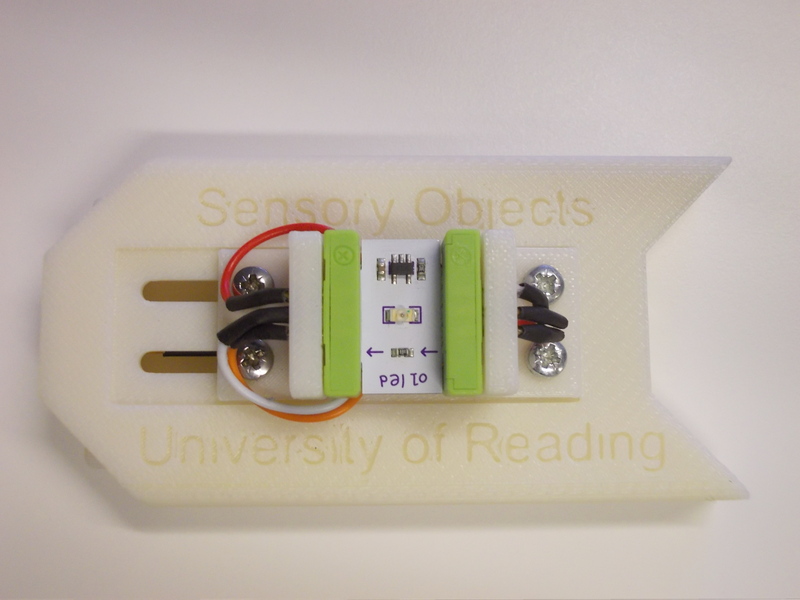 Whilst not a criticism of the design, the bits are small which can be a problem for our co-researchers, many of whom have limited motor control or manual dexterity, and may cope better with objects which are larger. A simple circuit using the bigger bits. The image below shows a close up of the static connectors made from brass tubing. The magnets are 4mm x 4mm diameter. On reflection 5mm x 5mm diameter would be better, and hold the blocks together more firmly. A view of the underside of the base shows the (rather crude) connections. These actually worked well (to my surprise!). The only difficulty with connections were the brackets which connected to the littleBits themselves. 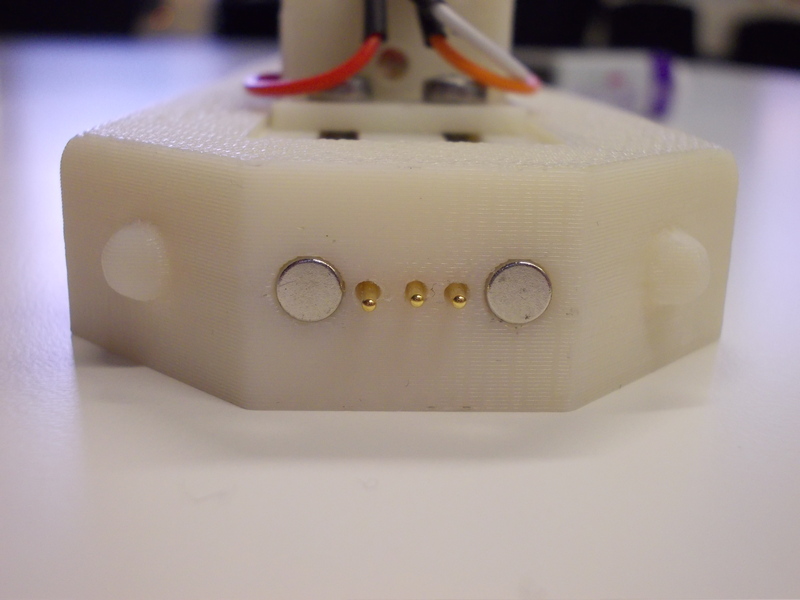 As the bits have very small and fragile connectors, a few were damaged in the process of making this, and so the brackets are being redesigned to include very light spring connectors (similar to the ones used by littleBits). If you have any comments or suggestions, then please contact me. Amazing job! 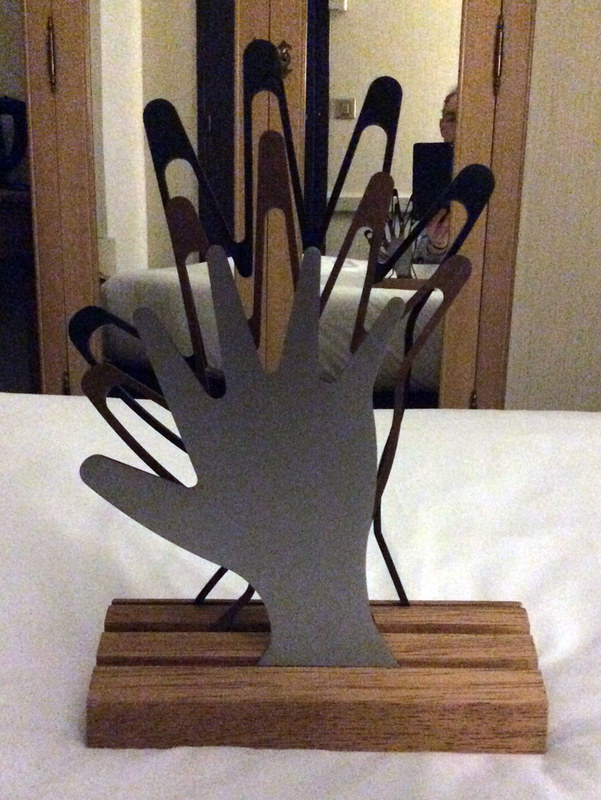 Congrats for the awards. 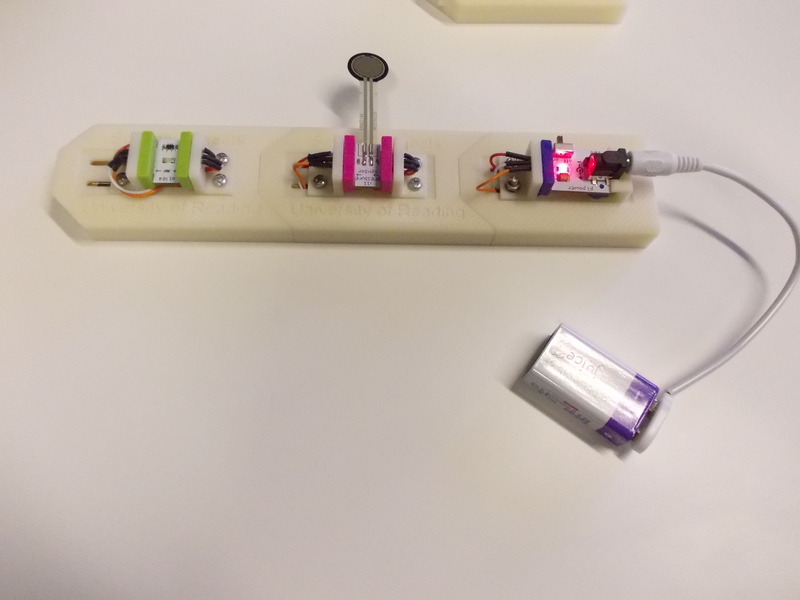 I was trying to make something similar but not for littlebits; just a generic magnet connector. Can you please suggest websites to buy the magnets and spring pins from? Also, how did you attach the magnets? More success to you. The magnets came form a company called Magnet Expert, sold through Amazon UK. They are simply a press fit into the plastic base. The spring pins were a little more difficult to obtain, but I found these one at Farnell,UK. See farnell.com. Good luck with your project, and please do get in contact if you have other queries, or want to share your ideas.